Since mobile video streaming is still new, many test personnel will be familiar with video or with mobile communications, but not with both. 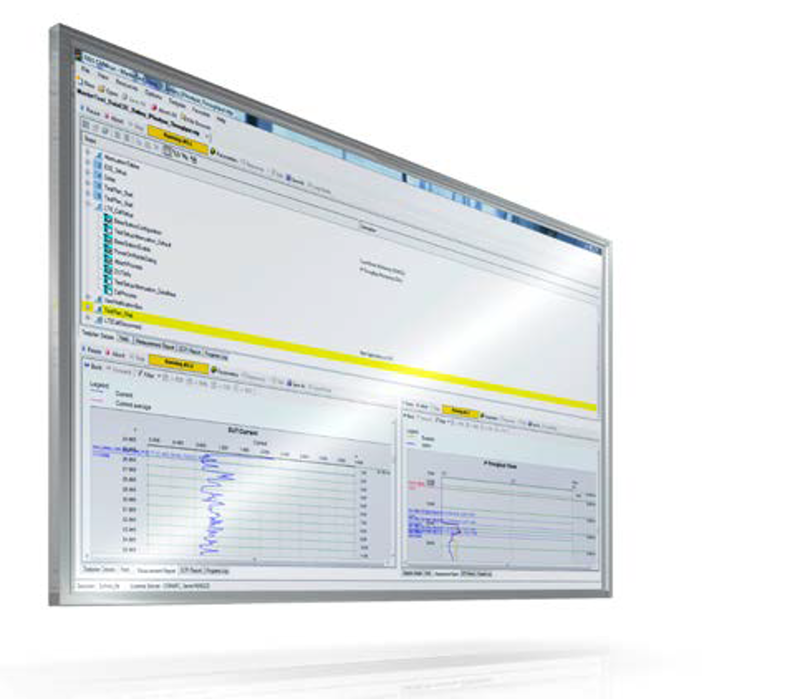 R&S®CMWrun provides automated test sequences, reducing the amount of special knowledge required for video testing. 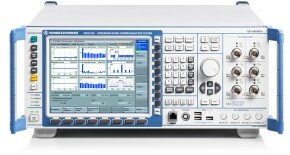 It controls the R&S®CMW500 wideband radio communication tester, which simulates a mobile network including the data application unit (DAU) integrated HTTP streaming server (DASH). In addition, the channel can be modified via IP impairments or through fading scenarios. 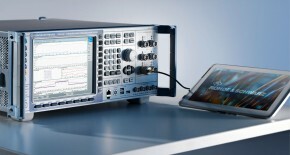 This allows real test conditions in a fully controlled environment. 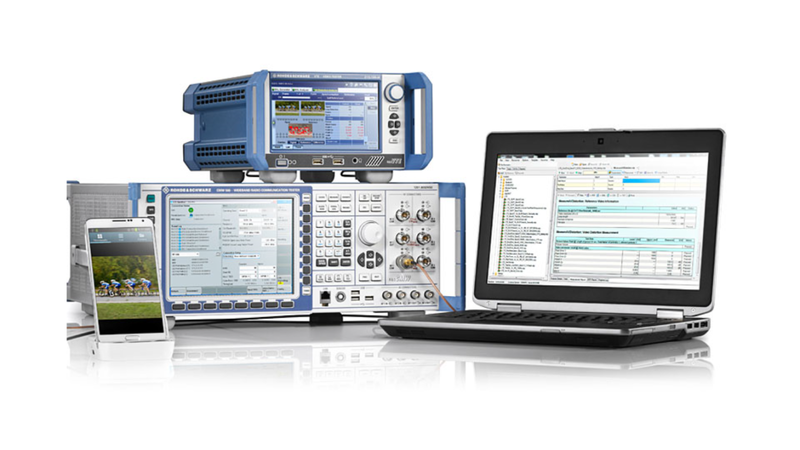 The R&S®CMWrun solution is radio bearer agnostic, which means that video testing analysis can be done with any radio access technology that supports E2E video streaming – LTE(FDD/TDD), WCDMA/HSPA, GSM/(E) GPRS and WLAN. 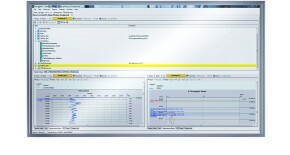 Based on the R&S®CMW500 data application unit (DAU), R&S®CMWrun is tailored to customers who want to test the application layer, either for benchmarking purposes or simply to test the DUT performance under real user experience scenarios to obtain a conclusive overview of the key performance parameters for video analysis. 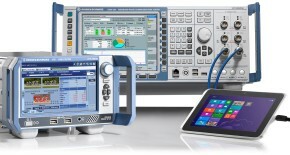 The R&S®VTE video tester performs difference picture analyses for detecting and objectively analyzing degradations in a mobile device’s decoded video signal. It provides subjective quality assessment (SNR/SSIM/MOS). The video content is output to the R&S®VTE over the mobile device’s MHL, HDMI™ or Miracast Interface. 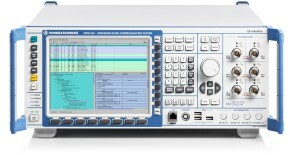 The R&S®CMWrun CMW-KT105 solution provides full automation (for R&S®CMW500 and R&S®VTE). The R&S®CMW-Z17 barcode scanner in conjunction with the R&S®CMWrun sequencer tool (R&S®CMW-KT104) offers an easy way to evaluate basic and key parameters of video performance based on video frame evaluation: missing frames, frame delay and reordered frames. A high-speed barcode scanner evaluates the reception and decoding of barcodes that have been previously integrated into the streamed video. A set of reference videos is part of the delivery package or users can upload their own videos. In these videos, each frame contains a barcode with the sequence number in all video frames. The application also allows testing of DASH bitrate switching when changing the channel conditions.